FISHBRAID HOW-TO - Some days we wake up and a plain old ponytail just won't do. 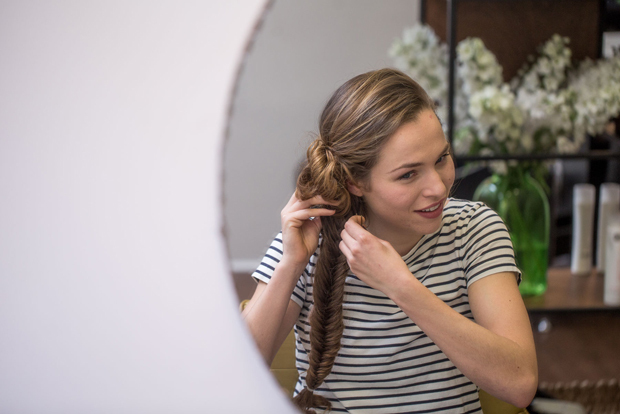 Our locks are calling out for a fancier coiffure, and this fishbraid is a neat way to add some pizzazz without needing hours and a truckload of hairspray. Words and makeup are by Dana Leviston. Images of model Thea by Kris Paulsen, hair by Jay Magee.